In September 2015 the world leaders adopted the Sustainable Development Goals for the next 15 years. The 17 Goals aim at exceptional achievements in the three dimensions of the sustainable development – economic, social, and ecological balance, and more concretely: extermination of severe poverty, dealing with inequalities and injustices, preservation of the planet. 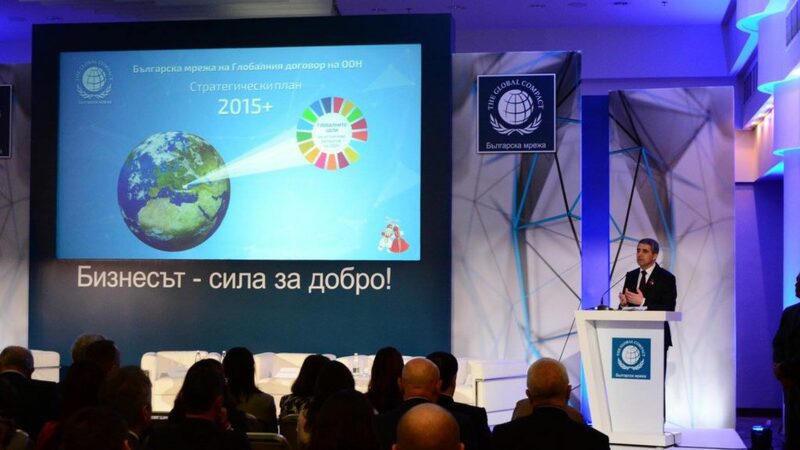 GCLN Bulgaria realizes its key role in the implementation of the Global Goals and only 5 months after their adoption it was ready with its 2015+ Strategic Plan on their realization in the country. The Network presented its plan to the society on the 1st of March 2016 during the discussion meeting ‘Business as a Force for Good’ in order to declare that it is aware of the responsibility and the chance to prove to the society that the business has an important constructive role and will be the proactive side in mapping the road and implementing the Goals. 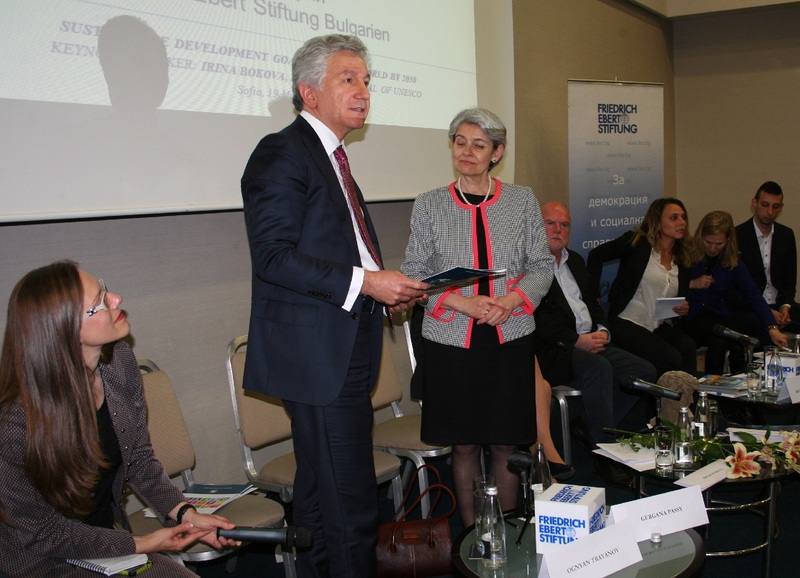 Later in Ma y Mr. Ognian Trajanov presented Mrs. Irina Bokova, UNESCO Director-General, with a Personalized Copy of the Strategic Plan 2015+ as a symbol of the commitment of the Bulgarian business. The Strategic Plan is the basis for the actions of the organization in the next 5 years. The Bulgarian Network aims and will continue to motivate and inspire different stakeholders in the development and sharing of their plans and in the achievement of the same synergism, which characterizes the Network’s collective projects, in order to turn the Global Goals in reality. “You are part of the legitimate, meaningful way in which an action plan could be built for our development strategy. I would like to shake hands with you because you lead, you undertook the initiative and work towards the Goals. The Bulgarian state is part of this plan. There is a need for actions, responsible implementation, yes, there is a need for a plan, but there is also a need for realization. 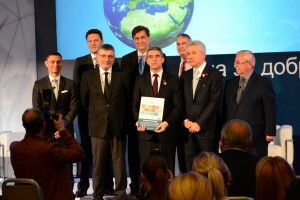 The Bulgarian business is a pillar for the society. I make a difference between the responsible business and the shadow business. You have a cause of one modern Bulgarian state, where the rules are above all, and where we have joint shared responsibility. The good, meaningful ideas have the ability to acquire the effect of the domino. I am behind you. I am one of you”.